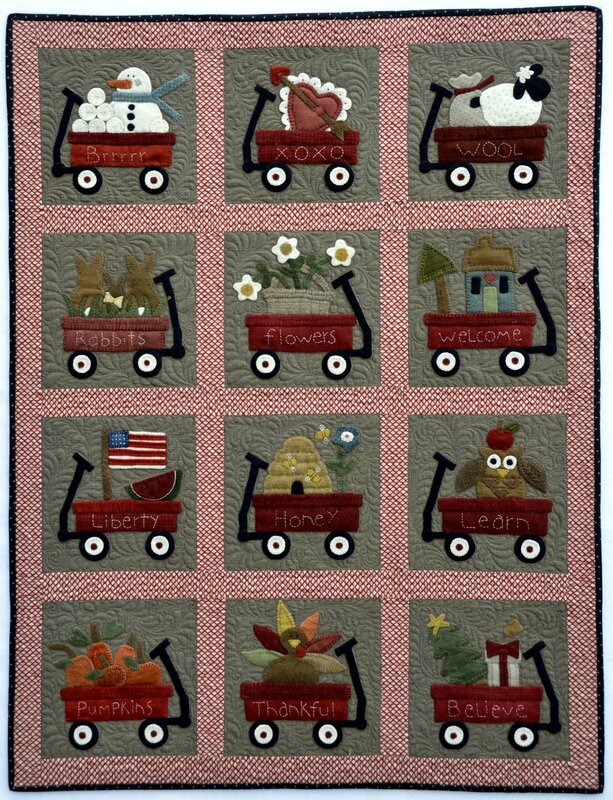 This is "My Wooly Red Wagon" one of our new Block of the Month offerings. 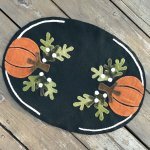 The quilt is Wool Applique on a cotton flannel background. Finished size is 40" x 52". By adding this to your cart and paying the $ 18 fee, you are committing to the 13 month program and the costs stated below. 13 month program beginning February 10, 2018 ending February 10, 2019. 1 block per month with the 13th month being the finishing month. Optional finishing kit includes the fabrics for the sashing, border and binding. The $ 18 you pay now is for the pattern. You will receive the pattern with your first block. Months 1 - 12, $ 20 per month if picked up in studio, $ 26 per month shipped. Month 13, $ 20 if picked up, $ 26 shipped.